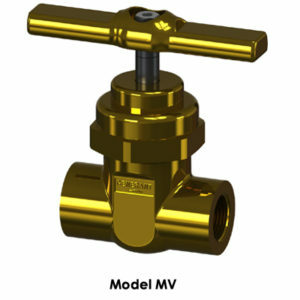 The Series MV High Pressure Gas Control Valve is optimized for the demanding requirements of Gas Cylinder Fill Plants, Manifold, and Piping System applications. The High Pressure Oxygen Service Valve Configuration (Material Code “C”) was third party tested per ISO 7291 (O2 Surge) and ASTM G175 (Promoted Ignition). The valve is also available with a PCTFE seal (Material Code “K”) for positive sealing in non-oxygen applications. The Series MV is available in a variety of porting and mounting configurations. The panel mount configuration is supplied with two panel nuts for easy retro-fitting to existing panel mount installations. 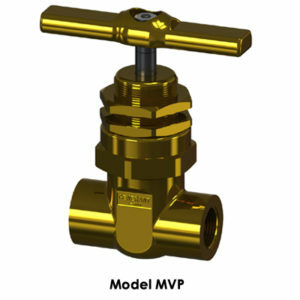 Note: Valves with NPSM Connections (1” – 11.5 NPSM) are de-rated to 3500 Psig (242 bar) due to this connection’s maximum pressure rating.